We had technical issues recording this sermon so there is no audio file. But I don’t want to just skip past it and go on to the next sermon either, so here is a written synopsis. In the first half or so of Exodus 12 God explains what the Hebrews need to do in preparation of the Passover. First, he tells them to make a new start. They are about to leave Egypt and put everything about that culture behind them. The night they leave Egypt will be the first day of a new month and a new year. Then he tells them about choosing a sacrificial lamb from the sheep or goats. They are to put it up on the tenth day of the month and watch it until the fourteenth. Finally, they are to be ready to go on the night the sacrifice is eaten; belt fastened, sandals on feet, staff in hand. They will be leaving in a hurry. I spent very little time talking about the displaying the blood on the doorposts or God’s judgement passing over the Hebrews. 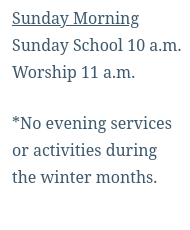 We will do that on the fifth Sunday in a sermon focusing on communion and baptism. On April 22nd we will continue with the death of the firstborn and the actual Exodus beginning. This entry was posted in sermon and tagged Egypt, Exodus 12, Hebrews, Passover instituted, sacrificial lamb, without spot or blemish. Bookmark the permalink.